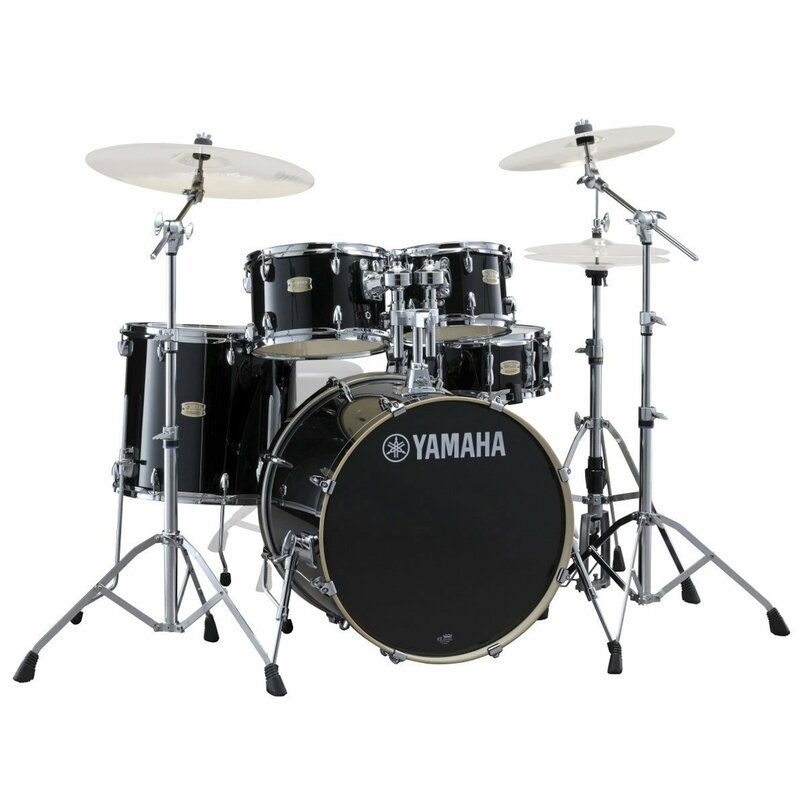 In this guide, I will show you the characteristics you should be looking for best drum set. These should give you an idea which one to choose out of the many drum set brands claiming to be the best online. Choosing one set of the many brands in the market can be very daunting. You want to make sure that you are not wasting money from cheaper, imitation brands that claim to have the same value as the known brands out there. I am hoping this guide will help you have a keen eye on your purchase to make sure you get the most out of your money. 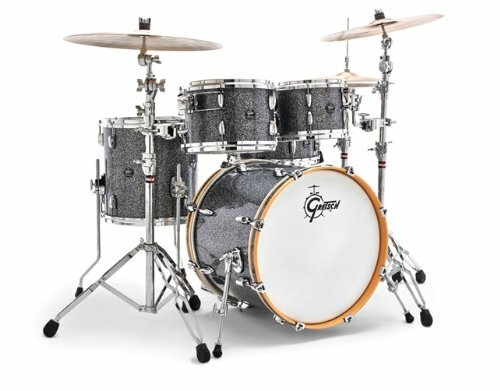 Now that you have somehow sharpened your eye to see what essential characteristics to look for in a drum set, it is time to present the top ten best drum set. I have listed them below with pros and cons based on actual testing and assessment. 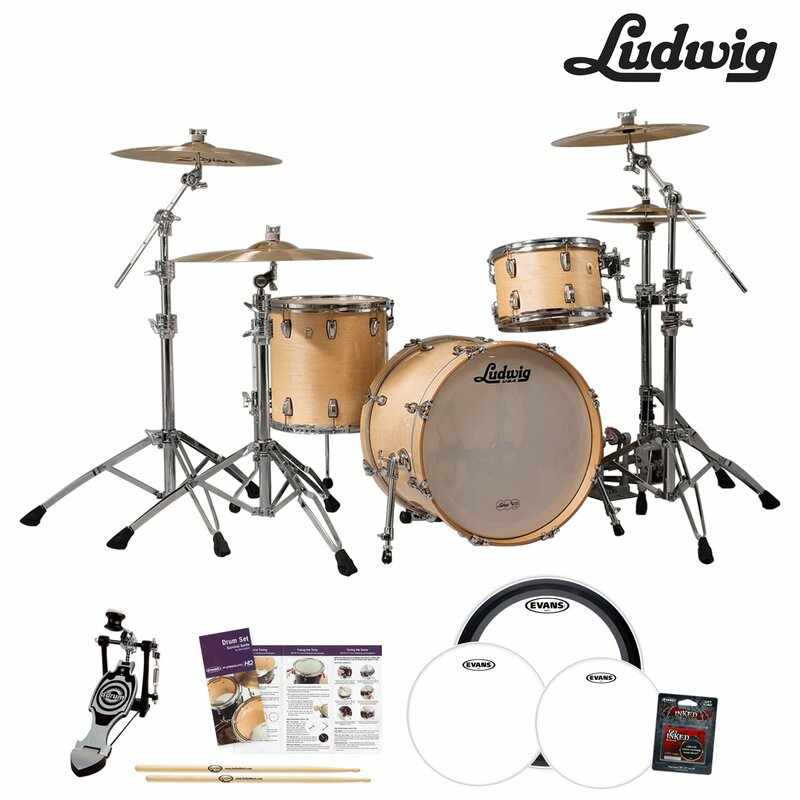 This Ludwig drum set only has 3 drum components but has great sound versatility. I bought this set for its quick response. But I purchased the additional parts to make a five-piece set. Warmth and resonance are its forte and is perfect for playing live or in studio recordings. The set provides the proper dynamic range because of its size and has high sensitivity. This is expensive but may still be perfect for beginners. Investing in high-quality drum set such as this guarantees value and longevity of use. Massive tonality. Incredible for live performances and studio recording. Shines through the mix clearly. Great for love performances and recording as its warm sound may outshine other instruments in the mix. ​Versatile so can be played for different music styles. 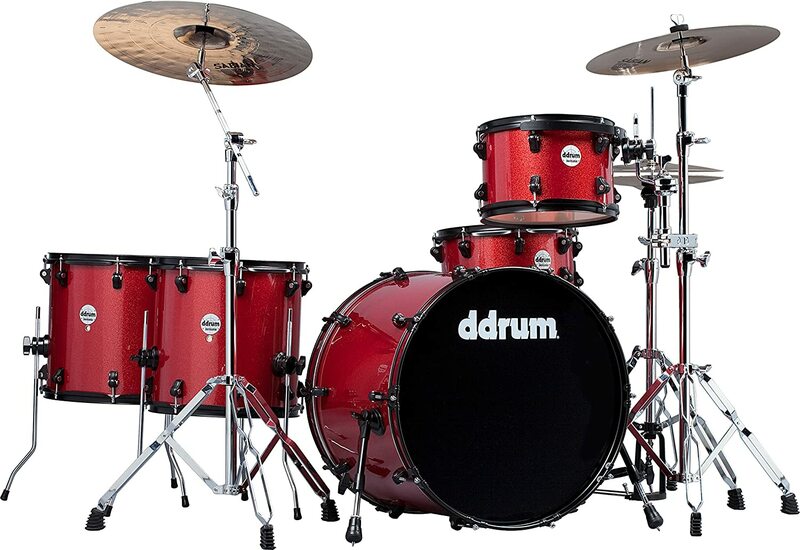 You may need additional budget for more drum components as it consists of only three essential parts. This 5-piece drum kit is very affordable and already has a complete set plus hardware for the essential parts. It even has a complete easy to follow user guide. I think this is the best for the beginner level - just the perfect size for teens. Made of poplar wood, this drum set provides amazing resonance and warmth. Poplar is one of the most common alternative woods for birch and mahogany. The quality of the entire set is not bad, but I recommend buying a pack of hardware because there are parts that do not have the hardware for mounting. Shells are covered with PVC. Comes with bass drum pedal, wooden sticks, and chain drive. ​User-friendly, beginner friendly. Recommended for teens. Poplar wood construction for added resonance. May have some quality issues with materials used. This five-set Ludwig starter set guarantees proper configuration, so beginning drummers can play it right out of the box. The only problem I have had with the set is the cymbals. They need replacement because they tend to break easily after long periods of playing. Regardless of quality issues, it has a fair sound quality with clear heads and resonance. Perfect for blues, soul, and jazz style as it produces light tones. ​Already has accessories and hardware in the package. May need proper adjustment. Some durability issues. Not as durable as birch, maple, or mahogany drum wood. With low-quality cymbals in the package. 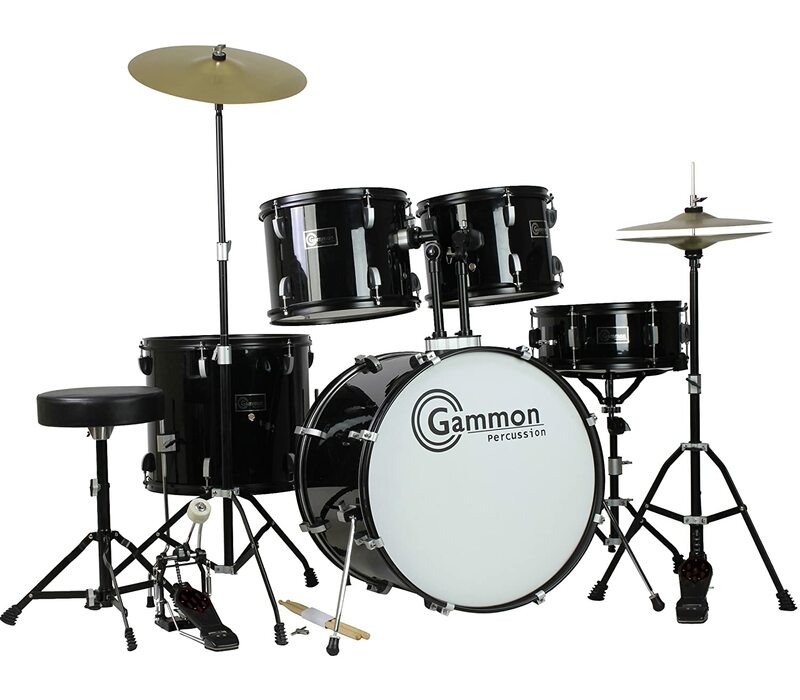 This five-piece Gammon Percussion set already comes with various hardware for easy and convenient mounting of the essential drum parts. It also has a comfortable drum throne and wooden drum sticks. I like playing this starter drum set and is pretty easy to tune. It also has a drummer’s key for adjusting the tone. But beginners may need the help of a professional tuning to avoid difficulty. Easy to set up starter drum kit. ​With cymbal stand, wooden drum sticks, drummer’s key, stoll, and bass drum pedal. ​Perfect for practicing but you may need to buy practice pads separately. Has issues with quality and durability. This set has five essential drum components, which is definitely for the money - not to mention the brand is very popular. Pearl RS525SCC706 5-piece drum set is ready to play when taken out of the box. 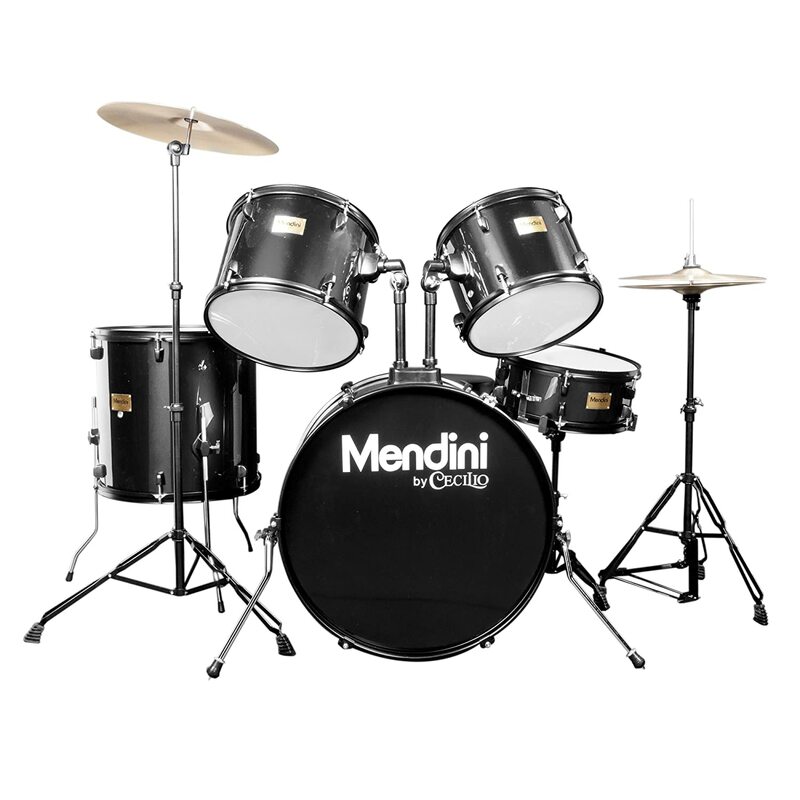 Known for its durable construction, this is a heavy duty drum set and is perfect for playing in gigs. But this is also ideal for beginners. This five-piece set has amazing configuration and is user-friendly, so it is perfect for beginners as well as professionals. ​Set already comes with good quality Hybrid Hi-Hats and Brass Crash-Ride Cymbals. ​With 9-ply heads made of Poplar for good resonance and exceptional frequency. ​Originates from a brand with a good market reputation. Requires proper adjustments for great playing experience. Probably the coolest drum set for all skill levels ever in my opinion. I love its perfect quality-price ratio, and it is already a complete 5-piece set. It is also made of birch wood which is perhaps one of the best drum wood in the world. It produces heavy but bright and loud tones, so it is versatile and can adapt to different genres. Comes with high-quality hardware pack. Durable and made of birchwood. Fantastic for any percussion level. This super affordable drum set is perfect for beginners. The manufacturers did a careful quality work on this despite its low price. It’s almost too good to be true, but I have tried one, and it is an amazing set. It has a huge bass drum, so it is preferred by the metal heads. It provides rich, heavy tones. Has a snare drum. Has a massive bass drum perfect for heavy metal tunes. ​With a huge bass drum that produces heavy, rich tunes. Cymbals are made of low-quality materials. Made of Catalina Maple wood, this drum has great sound quality. It provides warm beats perfect for playing power ballads. It does not feel too heavy nor too light - just the right flavor for me. This drum set has a walnut glaze finish, which I find fascinating. The set looks so vintage, so I think this is one of the best looking drums I have tried playing. Plus it has amazing balanced tones too. ​Comes with the following solid hardware: GTS mounting system, tom brackets, bass drum mount plate, and tom holders. For beginners, this set is too expensive but has excellent quality. It is only a 4-piece set with a configuration similar to The Beatles’ Ringo Starr. I like using this when I am playing R&B beats and rock n roll. This set is also perfect for recording with its amazing frequency and resonance. Amazing bass drum low end. ​Known for clarity of resonance. ​Preferred by professionals; perfect for recording. Too pricey for a four piece drum kit. 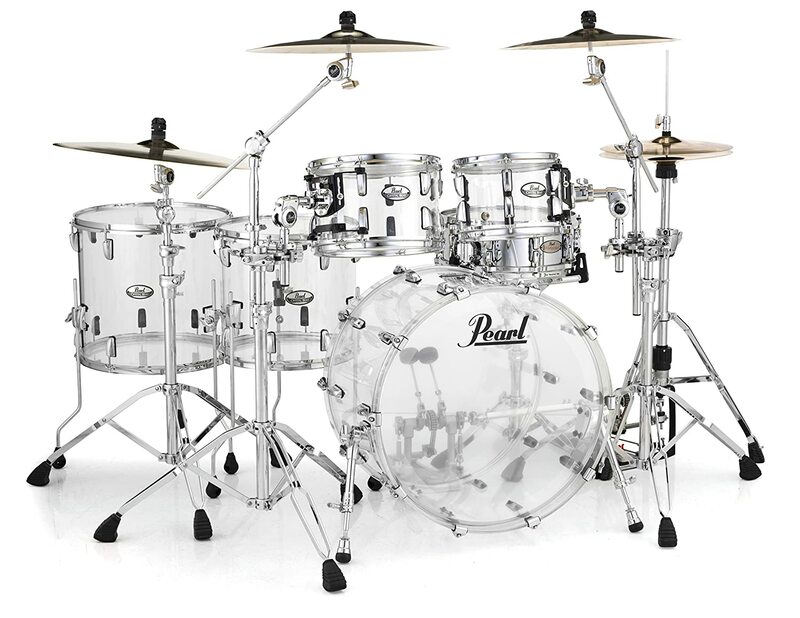 This Pearl drum set is made of acrylic shells with multiple configurations. The best part I have tried in this set are the toms. They are so in tune and durable. 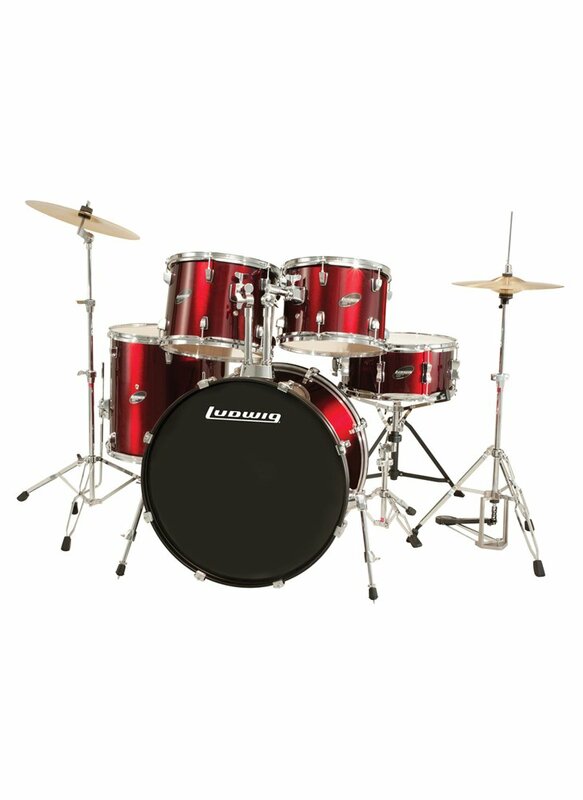 This heavy duty drum set is perfect for practically any type of music. I love its resonance and emphasis on the high and low frequencies. The mids are controlled, so they sound a nit quieter and softer. Good quality components such as bass drum shells and tom shells. Acrylic bass drum hoops for added resonance. 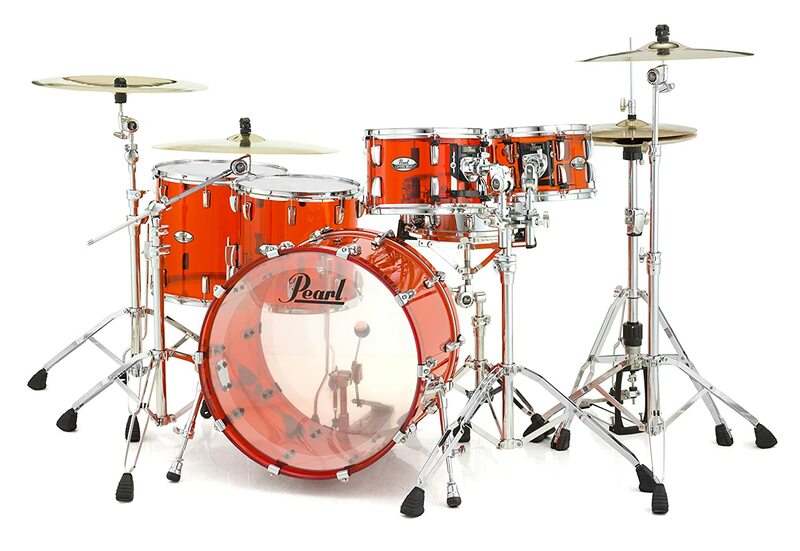 ​Has transparent color that adds personality to the drummer. ​Ready to play out of the box. Does not have a snare in the package. Here are the features you should be looking for in a drum set before you buy one. Although I would highly recommend a drum set made of birch wood, it can be very expensive. But if you can afford one, by all means, do buy a birch wood make. Maple and mahogany are next in line in the most recommended drum woods, but there are also other good options. Here are some of the characteristics of birch, maple, mahogany, and other alternatives. 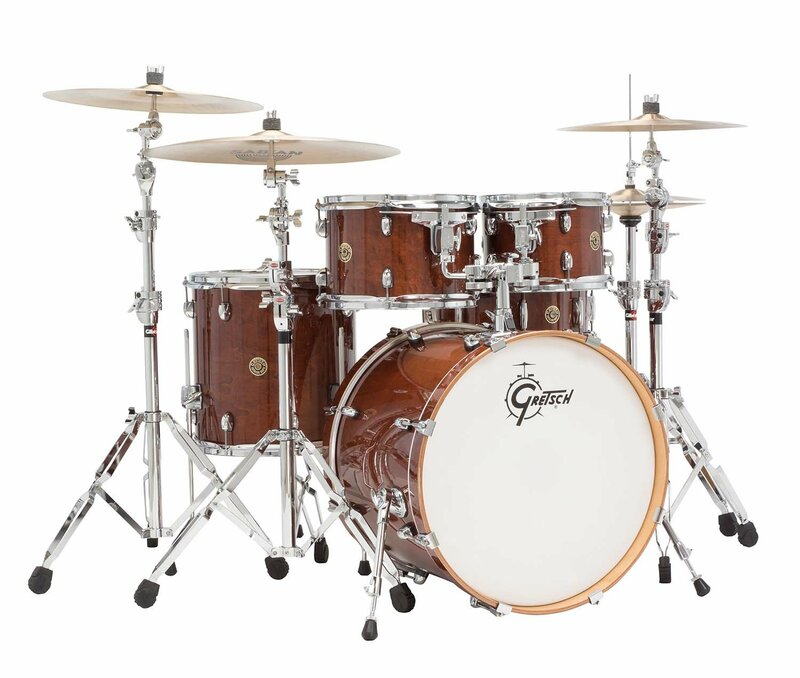 Read through to figure out how each type of wood affects the tonality of the drum set. Birchwood - drum sets made of this type of wood is often preferred by professional drummers around the world because it is durable, compact, and dense. The resulting sound is heavier, louder, and much brighter compared to any other type of wood. The lows and the highs have higher frequencies than the midrange. Mahogany - While birchwood enhances the lows and the highs, mahogany enhances the mids and the lows. Instead of the heavier and brighter tones, it produces warmer tones, so this is a preferred wood for acoustic drums. ​Maple - One of the most commonly used woods for drums is maple, which also creates warm tones like mahogany. However, the highs, mids, and lows create more balanced beats. ​Poplar - This is a less expensive wood that has similar tonal qualities as birch and mahogany, but not as pure. However, drum sets, particularly starter sets constructed with this type of wood, sound great. ​Lauan - Also called “select hardwood” because it is preferred in drum constructions on a budget. The quality is not bad but may have a huge difference with the tone maple, mahogany, and Birchwood create. Basswood - This is preferred for drums with lacquer finish and a more affordable alternative for maple and birch. This type of wood is available all year round so is cheaper. All drum sets may seem the same to a non-professional drummer’s eye. Bigger sets are certainly not always better. You should always go after the quality of sound. Other differences include the number of cymbals, percussion instruments, type of shells, and hardware. You may opt for a four-piece, five-piece, or six-piece set. Let’s go over the basic components of a complete set first to help you pick the set that suits your needs. There are three types of toms namely, high tom, mid tom, and the floor tom. They produce hollow sound with different pitches. The high tom is mounted close to the snare and over the bass drum. It produces the highest pitch. The mid tom is mounted beside the high tom and sounds a bit lower in pitch. Finally, the floor tom, the largest Tom, is mounted on the floor near the leg of the drummer. The sound it produces is a lot deeper than the high and mid toms. Also known as the kick drums, this is one of the essential components of a drum set. It is the biggest in the set and is positioned at the center. It produces the most significant, deep sounding downbeats. This is the main drum that delivers sharp and loud sound. It is also called a side drum and is the one responsible for creating marching beats. This is usually played separately in marching bands and orchestras. But in a drum set, it produces the essential rhythms required for various music styles. The hi-hat is composed of two cymbals placed on top of each other. The pair is mounted on a stand and placed beside the snare drum. A complete set also consists of two other cymbals aside from the hi-hat. The first one is the ride cymbals, which is larger but produces a gentler sound. These cymbals produce the loudest sound in the set, and they may come in different sizes. A complete drum set should include a height adjustable stool or throne. It should also be portable and padded for comfort even after hours of practicing. 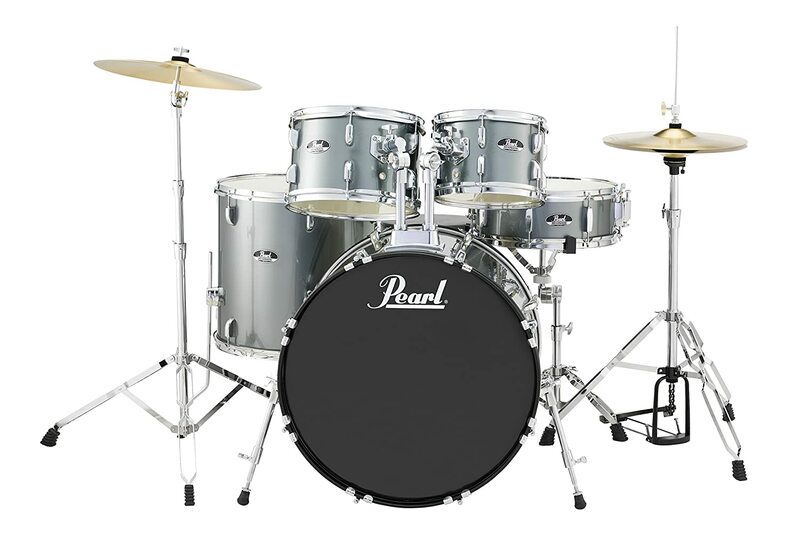 The essential hardware a complete drum set should include are bass drum pedal, a snare stand, a hi-hat stand, and at least one snare stand. Check if these are already included in the package before you buy a set. Drum depth refers to how shallow or deep the sound of your drum is. Depth produces deep boom sound while a shallow depth produces more snap. The secret to achieving either sound is tuning. Some drum kits already have a tuning key, but beginners may not know how to use them yet. When buying a drum kit, it is recommended to have it tuned properly by a technician. This top ten list of best drum set on the market today is my personal choices. I am not saying that my top choice should be your choice, too. It still depends on your budget, personal preferences, and skill level. Do you think this guide is helpful on your percussion playing journey? Let me know what you think by commenting below.